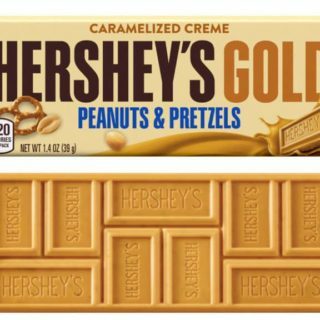 Try the new Hershey’s Gold Peanuts and Pretzels candy bar at any participating Walmart store January 25th through the 28th! This new candy bar is a special recipe created to celebrate this year’s Olympic Games. The samples will be available while supplies last, so head in the first day or two if you can! There’s a Walmart down the street from me. I’ll try to remember to stop by!